All of us are likely familiar with the seriousness of opioid abuse in the United States today. Since the turn of the century, more than 11,000 Americans have died every year from overdoses of prescription pain pills – and many more struggle with the destructiveness that opioid dependence can bring. I’ve written about the opioid problem before, along with one potential legislative solution, and those blog posts generated productive discussions. Clearly, this is an issue North Carolinians care about. An opioid that can’t be abused seems like a pretty clear answer to the problem, doesn’t it? In fact, the idea seems so obvious, you suspect there must be a catch. It sounds too good to be true. The development of abuse-deterrent formulations (ADFs) for opioids has spurred legislators to draft – and in some states, pass – laws requiring doctors to prescribe ADF opioids instead of more traditional pain medicines. But when you get past the eye-catching “abuse-deterrent” label, it doesn’t take long to see that these new formulations aren’t really going to solve the opioid epidemic. We have heard similar assurances about abuse-deterrent drugs before. 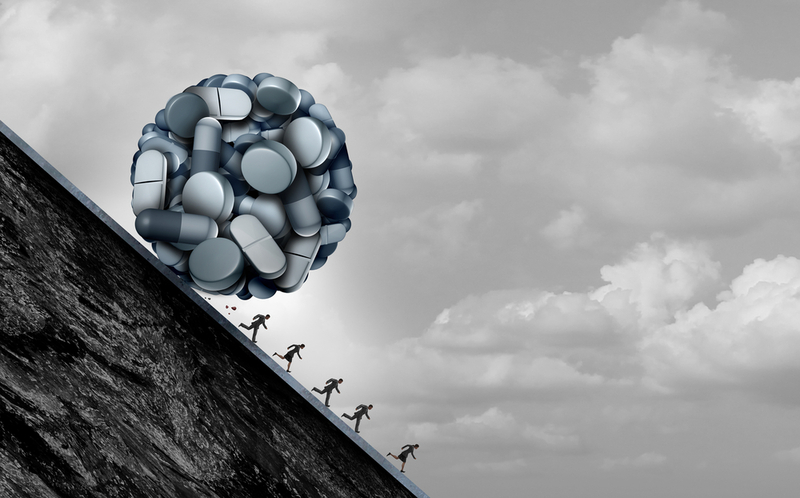 In the late 1990s, the pharmaceutical industry promised doctors that new formulations for opioids would lower the risk of addiction or abuse for patients with valid pain issues. Ten years ago, Purdue Pharma – makers of the opioid painkiller OxyContin – pleaded guilty to misleading federal regulators, legislators, and consumers about the risk of addiction and abuse linked to OxyContin. Purdue ended up paying a fine of $635 million. With the promise of abuse-proof and non-addictive pain pills came a well-funded campaign targeting doctors, urging them to check patients’ pain levels at each visit and to develop plans to address pain. Doctors were encouraged to consider pain a “fifth vital sign” along with temperature, pulse rate, breathing rate and blood pressure. This effort was embraced by medical groups and large hospital systems, giving us the familiar “Are you having any pain today?” question at the start of a doctor visit. In the years since pain came to be considered the fifth vital sign, prescriptions for opioids have risen dramatically, which brings us to the opioid crisis we see today. At first glance, ADFs seem like a great idea. Even if they don’t solve the problem entirely, doesn’t it make sense to try them out to see if they can help? The problem is that “abuse-deterrent opioid” isn’t really an accurate label. These new ADFs can’t stop the most common form of opioid abuse: taking pills in ways that haven’t been prescribed. ADFs can still be swallowed, crushed, snorted, or injected. And any person with an Internet connection can easily find out how to manipulate and abuse these “abuse-deterrent” drugs. Another point to consider is the very large price tag on these drugs. ADFs are far more costly than generic traditional opioids. Cost shouldn’t be the only thought, but it is a major one, particularly since there are no randomized clinical trials or rigorous observational studies showing the positive benefits of ADFs. These more costly drugs raise out-of-pocket costs for patients and lead to rising insurance premiums. How costly are ADF opioids? In 2015, sales of ADF pills made up only 5% of total opioid prescriptions in the US, but they accounted for about 25% of the revenue on opioid sales. Over this summer, the Institute for Clinical and Economic Review (ICER) released research findings showing that ADFs raise costs to the health care system that outweigh any benefits they provide. In fact, ICER’s research found ADFs bring no demonstrable positive benefits to total public health. While ADFs may play a part in the effort to cut opioid dependence and abuse, they are not the simple solution many believe them to be. They don’t change the addictive properties of drugs, they are not abuse-proof, and they’re likely to lead to even higher health care costs for everyone. Solving the opioid problem will need a multi-faceted effort, with health care providers, pharmacists, policy makers, drug companies, insurers, and patients all working together. Mandating the use of more costly drugs that show no significant promise of curbing opioid abuse is not the answer.